Party of Five: Red the Elf is baaaaack! 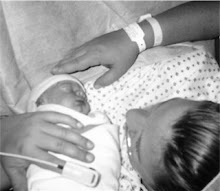 On Wednesday, Cole got into the Hershey Kisses pretty heavily, and coincidence or not, threw up in his bed that night. 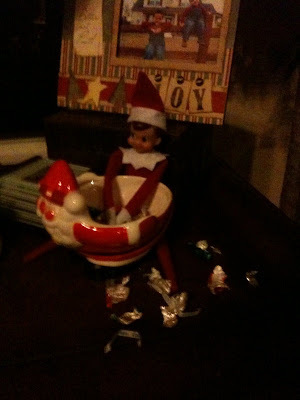 Well it turns out, Red did the same thing...and also left candy wrappers around as evidence of his binge! As Travis told him, "Mommy hates messes." The best part of this placement is that it kept everyone out of the candy dish the next day because everyone knows...you can't touch Red.